This February, I'm all about Filipino beauty products on a budget. 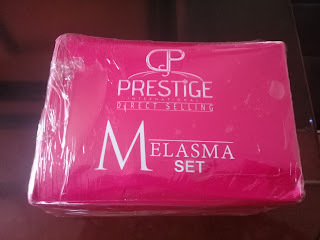 After scrolling through the countless reviews of Pinays and how a 150 Peso bar of soap is a bit too pricey to consistently use given the fact of inflation and excise tax increases, I would like to reveal the bar of soap I use, that can help with the usual beauty problems of many Pinays and is definitely budget-friendly. I guess everyone has heard of Kojic Acid. Kojic acid is a chemical derived from mushrooms and is a great alternative to hydroquinone. 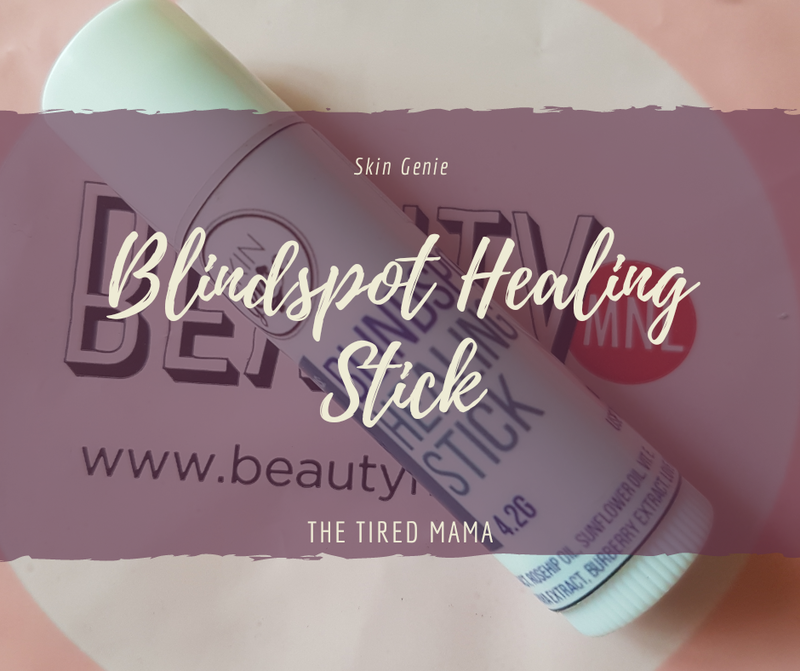 It is used for the purpose of treating hyperpigmented skin conditions such as sun damage, age spots and scars by blocking melanin production. Kojic acid used directly on the skin can lead to adverse effects such as drying and irritation and being prone to further sun damage. This is why it is advised to refrain from being exposed to sunlight when using kojic acid in concentrated high amounts. This is also why it is advised to use Kojic acid-infused products rather than its concentrated form. When you are living in a tropical country like the Philippines, being under the harshness of the sun is inevitable. I, like many Filipinos, suffer from hyperpigmentation. So, I also turned to Kojic Acid, seeing how many Filipinas were joining the trend and raving about its effects. To tell you the truth, the first time I bought the Kojie-san Dream White Anti-aging soap, I didn't know much about it... I just saw ANTI-AGING. I did know a little about Kojie-san from seeing their ads on TV but, not much about their product line. I bought the soap because it was on sale; buy 2 and get 10 Pesos off. I was in line to pay for my groceries and browsing through the discounted items lining the shelves at the register when I saw it and decided to make an impulse purchase. Good thing that that set only cost me 50 Pesos ($1USD) so, I didn't feel guilty for buying myself some soap. This was way back last September 2018. Now, the set of 2 (65gx2) is priced at 64 Pesos. 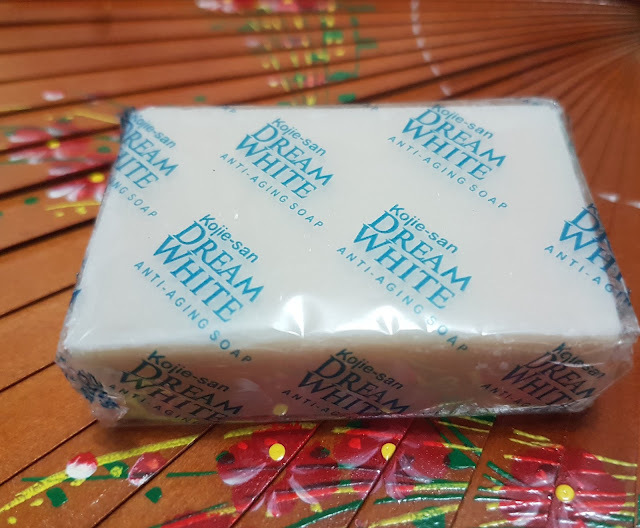 Upon opening, there isn't anything remarkable about the appearance of the soap. It looks like homemade soap which I like. Simple. It has a light brown even grayish color and is not heavily scented. Have you ever used oatmeal goat milk soap before? That's what it smells like but it is very faint with just a hint of vanilla. 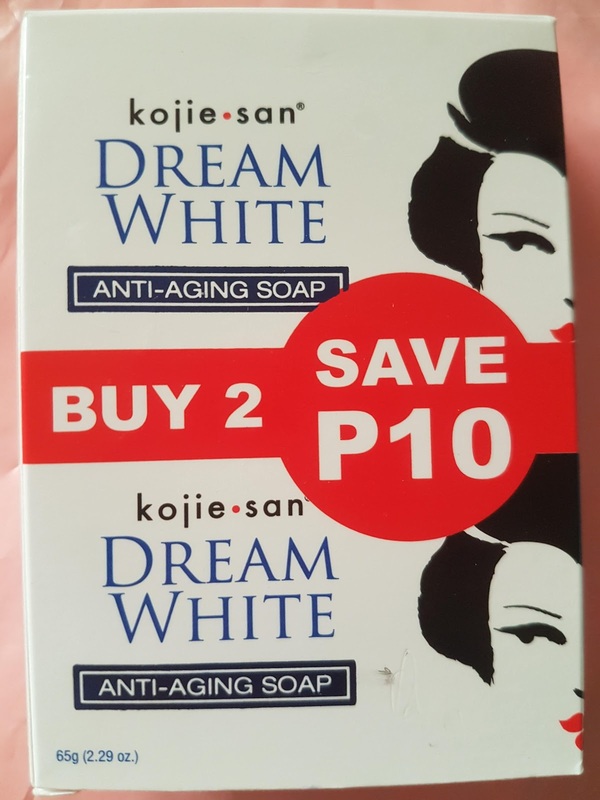 According to its packaging, Kojie-san Dream White Anti-aging soap combines the youth-regenerating properties of Collagen and Elastin plus the lightening effect of Kojic Acid. The moisturizing and whitening properties of the product will leave your skin revitalized, refreshed and younger-looking. It is formulated from Coco nucifera Oil, Sodium Hydroxide, Kojic Acid, Glycerin, Honey Extract, Soluble Collagen, Hydrolysed Elastin, Sodium PCA, Serine, Glycogen, Fragrance, Xanthan Gum, Caprylyl Glycol, Chondrus crispus, Phenoxyethanol, Ethylhexylglycerin, Cocamide DEA, Melaleuca alternifolia Oil, Titanium Dioxide, Mineral Oil, and BHT. I, personally, do not like heavily scented soap so this soap fits me just fine. It suds up well, but it is a bit soft (probably because of the coconut oil). This means it "melts" easily if it is constantly exposed to water. If you can place it away from water if not in use, you can lengthen its shelf life. As for me, I use the 65g bar soap twice a day, and it lasts for 10-14 days. So the set of 2 bars can last for a month give or take, depending on your use. I didn't buy this soap for its lightening effects. I bought it for its anti-aging effects. Collagen and elastin are 2 much needed proteins that help combat aging by keeping skin firm and elastic. While most people look for anti-oxidants like Vitamin C and glutathione in their beauty products, I look for these 2. And I found a product that does have it and isn't expensive. 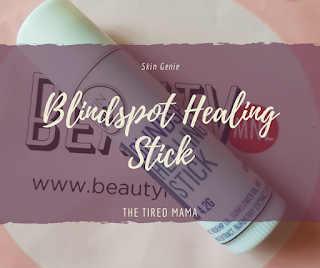 I have been using this product for 5 months now. 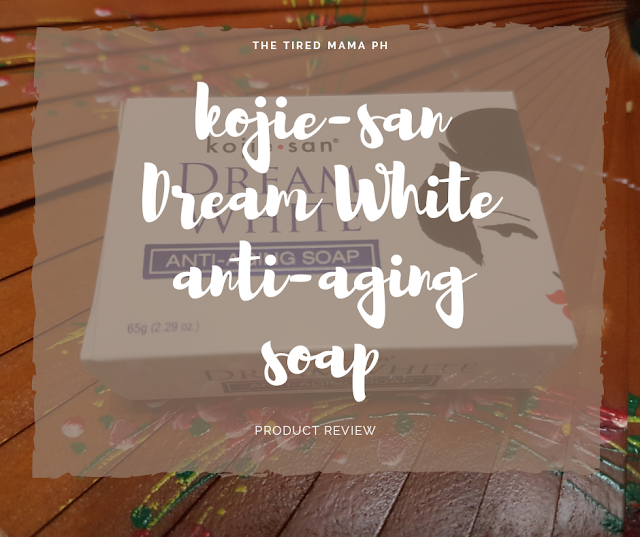 At first, my skin felt a little dry after using it due to the Kojic Acid but, with further use, the coconut oil kicked in and I could feel its moisturizing effects. Now, because of consistent use, my skin is softer, firmer, and the wrinkles in my hands have diminished a little. My partner has noticed that the skin on my arms is smoother and moisturized. 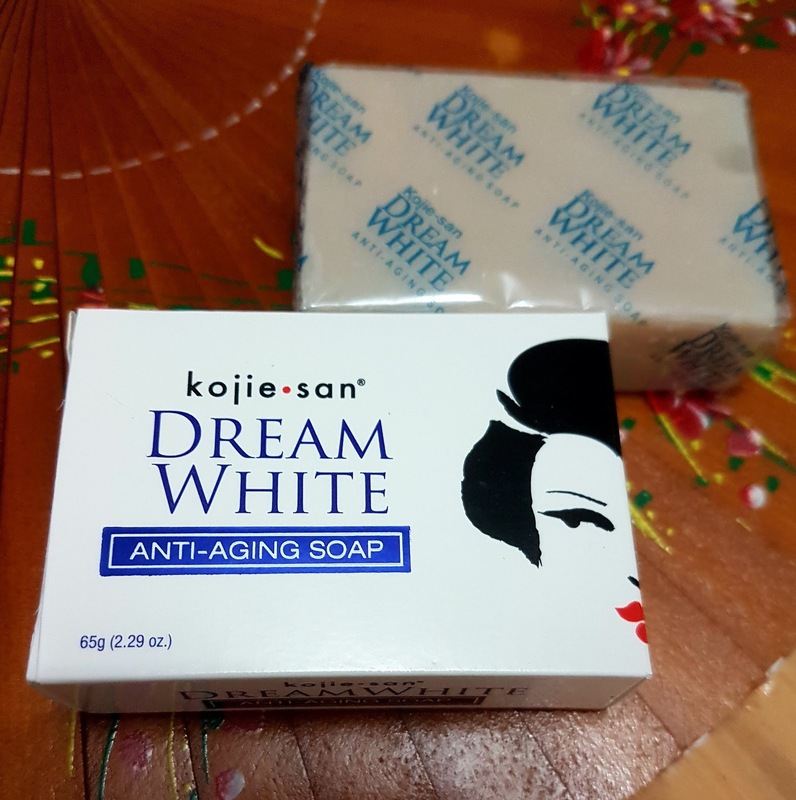 He told me I should continue using Kojie-san Dream White Anti-aging soap. The term he used is "hiyang" or it agrees with my skin. 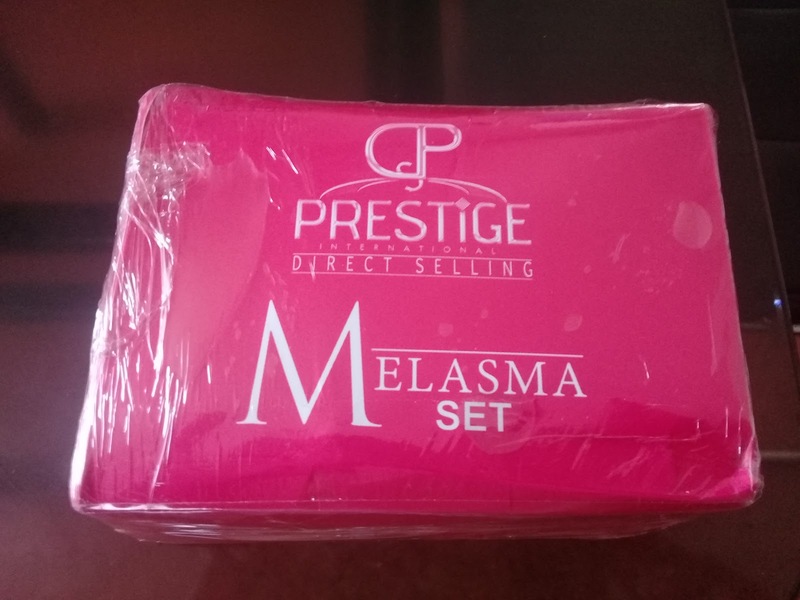 I haven't had issues with irritation or breakouts using this soap so, I will continue using it. 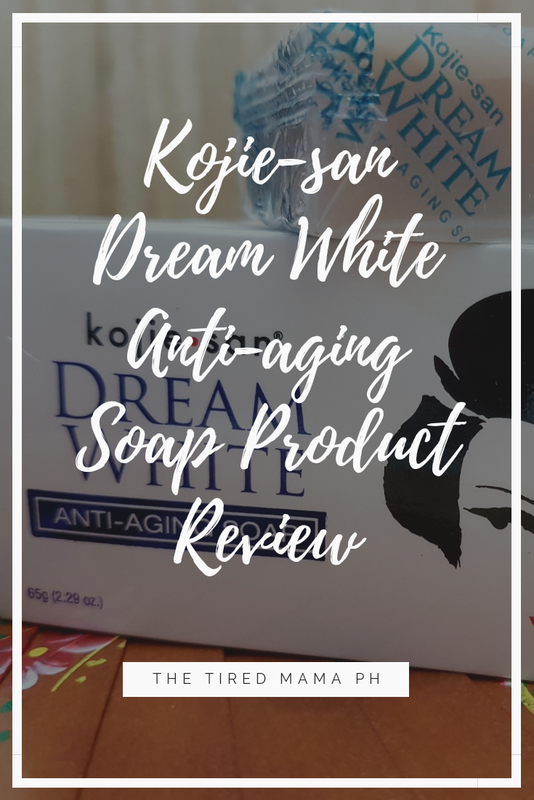 Do I recommend the Kojie-san Dream White Anti-aging Soap? Yes, I do. 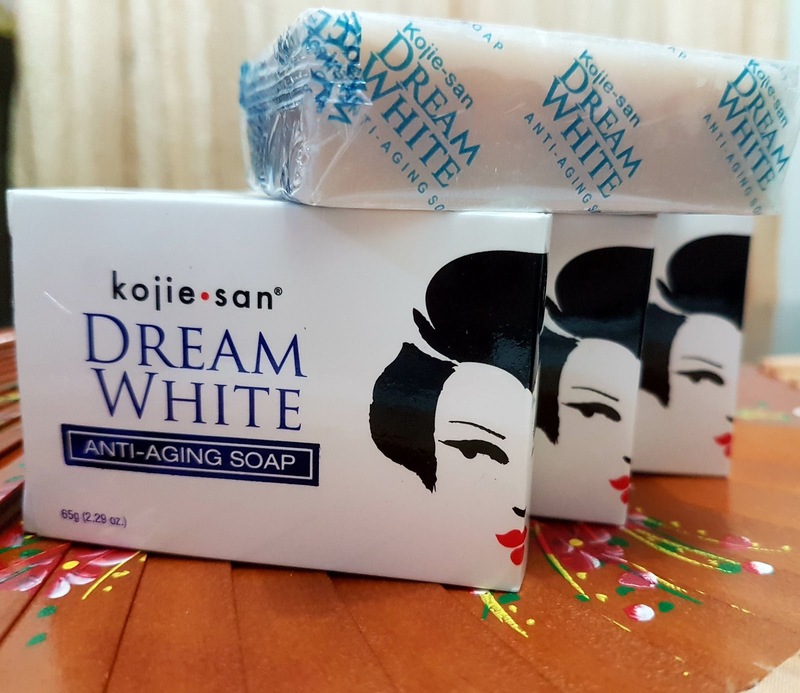 This soap contains premium coconut oil to moisturize your skin, kojic acid to lighten hyperpigmentations, and collagen and elastin to keep your skin firm and elastic. Plus, it's budget-friendly. You can buy a 65g bar for 37 Pesos, a set of 2 65g bars and get 10 Pesos off for 64 Pesos, or a 135g bar for 64 Pesos. It's not expensive to give your skin the nourishment and care it needs.